With two Bears posting career highs and a defensive effort that stifled the No. 6 Wichita State (3-0) offense in the first half, all the fixings for the first shocking upset of the season were on the table for the Cal men’s basketball team (2-2). But as the pressure mounted, figuratively and literally, the Bears were forced to turn more and more to their youngsters, and an 18-point lead fell through their paws and devolved into a bitter 92-82 loss. For the Bears, it was a classic case of Dr. Jekyll and Mr. Hyde. The first half was unquestionably the Don Coleman show. Only three games after setting a new career high in the season opener, Coleman put himself in the perfect position to best himself yet again, dropping 26 points on one of the best defenses in the nation. 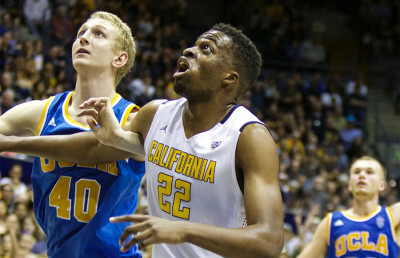 Coleman would end the game with 35 points to eclipse his previous high, but he left his efficiency in the first half. After shooting a very efficient 9 for 15 in the first half, reminiscent of his performance against Cal Poly, the junior fell back into old habits, converting only three of 10 shots from the field. Part of that inefficiency was a result of the Shockers’ integration of the full-court press in the second half. 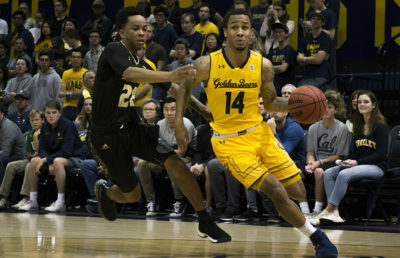 Wichita State head coach Gregg Marshall’s plan paid dividends for his squad, as the uptick in pressure resulted in untimely turnovers and forced shots on Cal’s side of the ball. Once the Shockers began to throw multiple defenders at whichever Bear received the inbounds pass, turnovers of all varieties began to pile up. An errant pass here, a misstep there, and in the blink of an eye, the Bears accumulated 12 second-half turnovers to finish the game with 19, the second straight game in which they’ve hit that total. Cal’s youth and inexperience played into the squad’s turnover total. The Shockers were the first team this season to consistently expose the Bears to a claustrophobic, full-court defense, and Cal’s freshman unit was visibly shaken up by the change of pace. 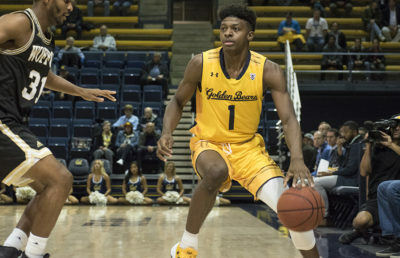 Of Cal’s second-half turnovers, nine came from freshmen Darius McNeill, Justice Sueing and Juhwan Harris-Dyson, all of whom had three apiece in the last 20 minutes of ball. As the turnovers piled up, the team’s collective shooting percentage plummeted. After shooting a blistering 50 percent even from the field, Cal would shoot an ice-cold 34 percent in the second half, only hitting 11 of the 32 shots attempted. For all the bad that came in that forgettable second half, there were a couple silver linings sprinkled throughout the game for Cal. Sueing, a native of Hawaii, put up a career-high 20 points on 7 of 12 from the field. Not only was the true freshman hitting tough shots in the paint, but also he displayed his outside game for the first time this season, hitting four of six from beyond the arc, one of which was of the and-one variety he got hit while in the air. McNeill, arguably the better shooter of the two, also hit a pair of bombs en route to his 16 points. 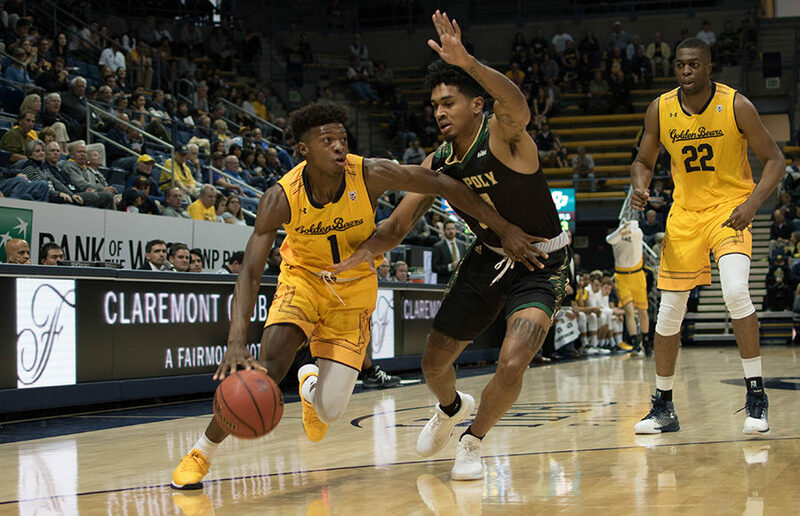 Although the Bears’ first game in Hawai’i ended in defeat, the team’s willingness to fight tooth and nail against one of the nation’s best squads speaks volumes about where this Cal team is headed going forward.